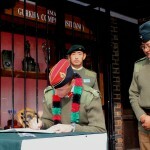 On 27 September 2013, all available SNCOs and officers of Gurkha Company (Sittang) (GC (S)), with their families, gathered at Nepal Lines eagerly waiting to welcome the new Commandant of the Royal Military Academy Sandhurst, Maj Gen S R Skeates CBE and Memsaheb. On the Commandant’s arrival, he was cordially received by Maj Yambahadur Rana, OC GCS and the command group. After a brief welcome and a chit-chat with GC (S) officers, SNCOs and wives, the Commandant was kind enough to sign the visitor’s book. This was followed by a company update at the GC (S) conference room, while Memsaheb was entertained by the families at the community centre. 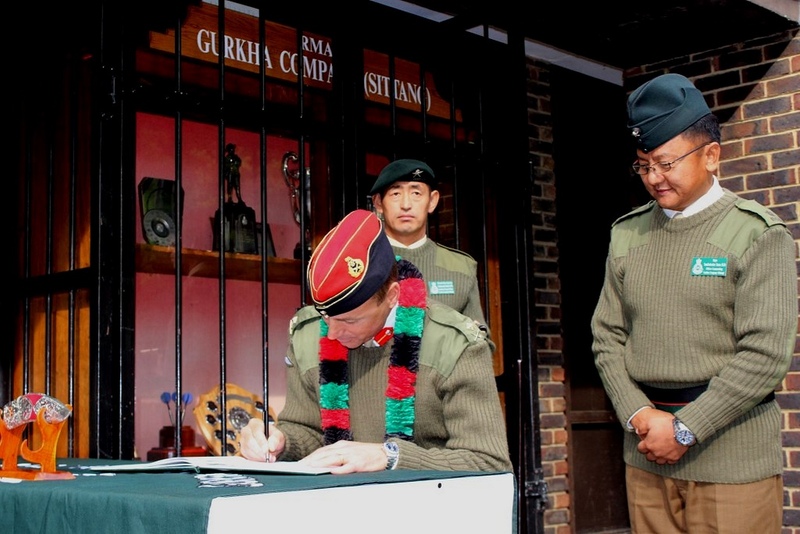 As per Gurkha custom, the Commandant was also taken around to the Temple for a brief service accompanied by Capt Maniram Rai, 2IC GCS; they were met at the ‘Mandir’ by caretaker-pundit Rfn Dalbahadur Gurung and a traditional ‘Dhup-batti’ and worship was conducted. The official group photograph with the officers, SNCOs and families took place at Nepal Lines. Of course, the visit would not be complete without a proper Gurkha curry. The Gurkha chefs at RMAS prepared a fantastic buffet and an outstanding curry feast was served to the delight of all those present. It was a great honour to welcome the Commandant to GC (S) as part of his first official visit to the Company.